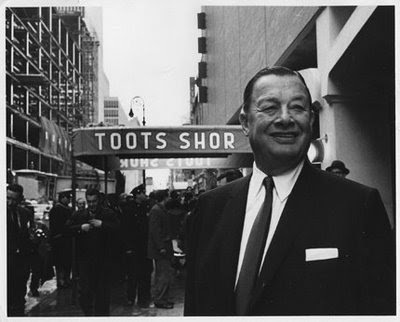 Bernard "Toots" Shor (May 6, 1903 – January 23, 1977) was proprietor of the legendary restaurant, Toots Shor's Restaurant, in Manhattan. He was known as a "saloonkeeper", friend, and confidante to some of New York's biggest celebrities during that era. 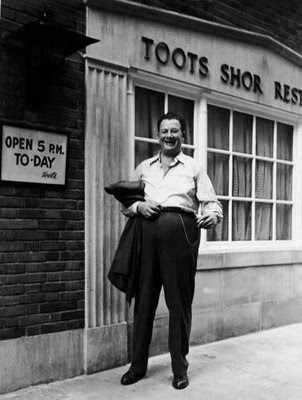 Shor moved to New York City from Phili in 1930 and found employment as a bouncer at the Five O'Clock Club. 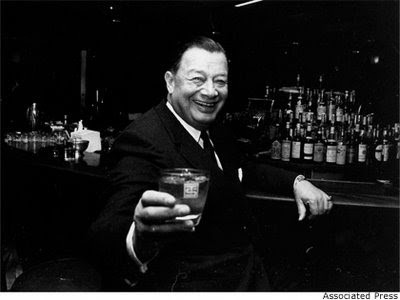 He later worked at several other nightspots including The Napoleon Club, Lahiff's Tavern, the Ball & Chain, the Madison Royale, and Leon & Eddie's. He became a great man about town in Manhattan after opening his own restaurant at 51 West 51st Street. 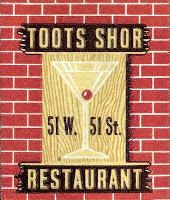 While the food at Toots Shor's Restaurant was known to be 'nuttin’ fancy' — standard American, sports-bar fare such as shrimp cocktail, steak, baked potato — the establishment became well-known for who frequented there and how Shor interacted with them. 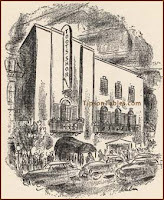 Toots Shor's Restaurant was frequented by celebrities and together with the 21 Club, the Stork Club and El Morocco was one of the places to see and be seen. Its oversized circular bar was a New York landmark. Jackie Gleason often ate there and often for free. In a famous incident, Shor out drank comedian Jackie Gleason and left him on the floor for most of an afternoon to prove a point. 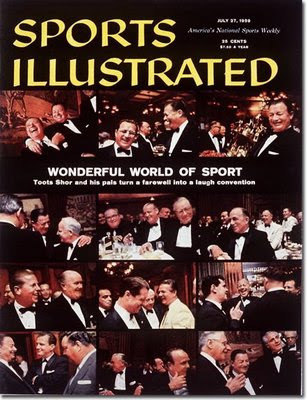 Other notable guests included Frank Sinatra, Judy Garland, Marilyn Monroe, Orson Welles, Yogi Berra and Ernest Hemingway (Berra and Hemingway allegedly met there), Shor was renowned for the cool and unique way that he conversed with everyone from heads of state to box office superstars. Although unspoken, wives were not welcome in Toots’s saloon; it was known, in the argot of the day, as a place of "booze and broads," where ballplayers, actors and politicians mixed. Baseball players were especially welcomed; in particular, Shor admired Mickey Mantle, and also adored Joe DiMaggio. Shor always ensured that DiMaggio got first-rate service without being hassled or asked for autographs by restaurant staff, other patrons or fans. 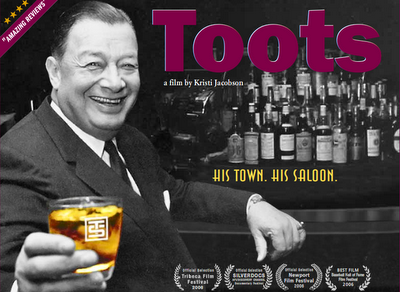 Toots Shor cultivated his celebrity following by giving them unqualified admiration, loyal friendship, and a kind of happy, boozy, old-fashioned male privacy. Those whom Shor really liked were called “crum-bums”. Shor reputedly said that he didn’t care if he was a millionaire-- so long as he could live like one. In 1959, Shor sold the lease for his 51st Street restaurant for $1.5 million to real estate developer, Bill Zeckendorf. The following year, he opened at a new location at 33 West 52nd Street and tried to emulate the decor and atmosphere of the original. The then-Chief Justice, Earl Warren, considered Toots one of his closest friends. "The Chief" showed up to be photographed with a shovel full of dirt when Toots broke ground on Toots' 52nd street "joint." At other times Warren was known to frequent the joint while some of Manhattan’s most notorious goodfellas were drinking at the other end of the bar. In 1971, authorities padlocked the doors of the 52nd Street restaurant for nonpayment of federal, state, and local taxes totaling $269,516. They offered him a free ride if he would agree to squeal on some of his more infamous clientele. But Toots was as loyal as any man so he closed the eatery down. Shor and his wife Marion ("Baby") lived for many years in a 12-room brownstone at 480 Park Avenue where they raised their three children. During his tough final years, they downsized to the Drake Hotel. He died at age 73, ending a six-week stay in New York University Hospital. Great story. It's a shame the producers haven't continued to make this available. The only copies of the DVD are listed on Amazon for $589.95! Which is price gouging in my book.